Everything is ready. You have your matching kit on, found your shoes, co2, and spare tube; almost done pumping the tires. You’re off on the ride, luckily a few friends were capable of making it too. It’s a Friday afternoon, and nothing was on your mind all day, except making sure that this would go off without a hitch. You even stuck your waterbottles in the refrigerator overnight, so you could enjoy cold water on the climbs. The group is passing mile seven, and everyone is taking their turn up front like a bat out of hell. It’s your turn. You do your pull, sweep off to the left, and fall back in. The ride continues. The turnoff to the planned road is coming up ahead; everyone slows down, anticipating incoming traffic up ahead. Everyone seems to disperse from a paceline when facing the first steep hill climb. You can see the dread in some of the older rider’s eyes, luckily you are ready for this. You look back for a second, wondering if the rear tire is flat, or if the brake pads are rubbing the rim… something feels funny. You open up the indexed quick release on the rear brake, stand up, and start to slog after your peers. Going through your mental flow chart of routines before riding, you see that everything was done correctly, and everything should be going according to plan. The bike is in good shape, nothing is malfunctioning, but it is taking more effort than it should be to get up this hill. The group passes around a bend, and are out of sight; you try to stand and rush up to them, but your legs feel like Al Dente fettucini noodles. You just don’t have it today. You wonder what is the IT that you are missing and come up with no answer. You suffer through the climb, and think about going home. None of this is making sense. You never feel like this; the last time you gave up on a ride was when your first bike was two weeks old. Even Old Man Scuzzlebutt made it up the climb before you; this NEVER happens. Something is wrong. What you are experiencing isn’t listed in an episode of The Twilight Zone, nor is it capable of being diagnosed by any medical book; this is just a case of Un Jour Sans. A day without. We have all had a case similar to this, where nothing is right; up is down, black is white, hot is cold. Its as if everyone else on the group ride found some kind of magical pill bottle with magic puncheur pills, and stormed off without you. We all know that cycling has more implications and second meanings than we all like to admit to, and it is humiliating and demoralizing being the last one up the pass. You would rather be riding a Huffy, or wearing some awful dayglo yellow jersey than be the last one up the hill, and your face shows every moment of your embarassment. 1.) You have come to accept that every ride is going to have at least one punishing climb before the ride is over. 2.) Choices of what stores to stop at are not made by price of the items per se, but whether or not they have a safe place to lock up or stash your bike. 3.) Taking a wrong turn and ending up on a gravel road is just an opportunity to show off your Roubaix-esque skills. 4.) You take pride in not having to drive to your favorite MTB trails. 5.) Going down Main Street fully clad in your spaceman outfit is not embarrassing, but a source of pride and identity. 6.) You know at least three different ways back to your house from any place in a 20-mile radius; including which farm roads your road bike can handle or not. 7.) Seeing another cyclist on the road is such a rare event, that you actually put effort into saying ‘Hi’ to them. 8.) Even if you are a road cyclist, you have a mountain bike for cross training; It’s futile to avoid it. 9.) 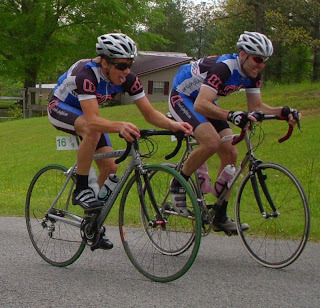 You know every bike shop in the tri-county area, and what brands they carry. 10.) Entering any public place, you wonder how people can let their self become so fat, all while dreaming what would happen if gas went to $10/gal. 11.) You know exactly when Hunting Season begins and ends. 12.) Have dreamed about flat, scenic roads that go on for miles. 13.) Tend to see more cows/livestock than cars while out on a ride. 14.) Have been tempted to stop at a creek/river and jump in or refill your water bottles on a hot summer ride. 15.) Encountered near-death experiences with deer jumping in front of you while on a ride. 16.) You know what properties with NO TRESSPASSING signs are still fine to ride on. 17.) Have traveled through at least seven Townships on a single ride before. 18.) Become curious in how to reach radio/cell-phone towers you see via Jeep Trails while driving somewhere. 20.) If lost, you know how to twang it up with the locals in order to get directions home. What else? Any other tell-tale signs of a WVcyclist?